The company is built of international specialists, engineers and managers who teamed to design, develop and manufacture innovative products for medical and veterinary purposes. 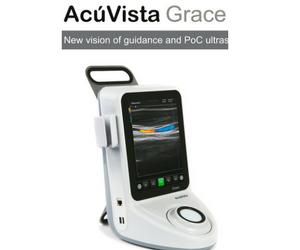 Currently, we present portable ultrasound scanner Acuvista Grace, which can be used for non-diagnostic purposes, such as vascular access, anesthesia, biopsy and other. Ultrasound scanner AcuVista Grace is specially designed for an ultrasound guidance. It is fully controlled with a single ActivTwist device: a new generation of encoder and integrated touchpad. The control is as simple as in your smartphone. Simply touch ActivTwist panel or swipe with one or two fingers to activate icon and rotate a wheel to change active parameter. Excellent real haptic feedback in your fingers from encoder lets you change parameters without looking to device. No other buttons are needed. You can be completely focused on the patient but not on the device control. Almost all functions can be controlled both by ActivTwist and touchscreen. Intuitive interface makes it possible to use this scanner by doctors without special training. Aion Co., Ltd. is a Japanese manufacturer with 50 over years of experience in producing various porous materials. Porous sponge with superb water absorbing and retentive makes an excellent absorbent material. Aion has introduced cutting edge facilities and equipments to satisfy international customers requirement, continously aim at further improvement of manufacturing technology of highly advanced developmental technology with high accurate analysis ability. It could apply in cleanroom maintenance, pharmaceuticals production, lab equipment, medical devices manufacturing field, etc. 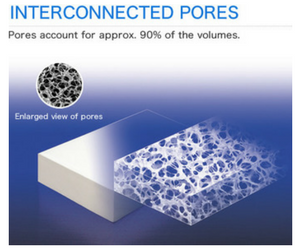 Aion porous materials can lead your process more effective lab equipment. Allincare is one of the leading manufacturer of medical device in Korea. We specialized in "non toxic and thermoplastic portable cast". We adhere to the standard of eco friendly material for all our products. - Premold type: only on step treatment/ easy fitting and removing. - Exquisiteness: the edge of the splint is a smooth rounded corners and very clear because it is cut by laser cutting machine. - It is perfectly optimized for the size of the human body due to mock up that is made by 3D printing after considering average body. 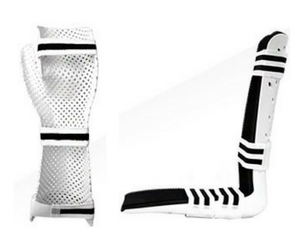 - The concept of hyper ECOFIX is wearable splint applying various color of air mesh. - Excellent ventilation through number of hole. ANSR Sdn Bhd has been established with the intention to provide a niche medical and health related products. The range of products started from disposable items imported from Germany, United Kingdom and Hong Kong. 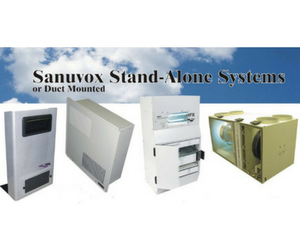 ANSR SDN BHD is a leading supplier for air purifier product which is SANUVOX-UV Air Purifier, CANADA. Where these product guarantee a clean conditioned environment to the public. 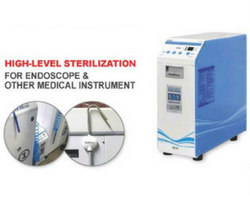 In addition, ANSR also supplies hospital equipment such as plastic aprons on rolls, dispenser for aprons on rolls, oxygen catheter, oxygen connector, blue gown with thumb up and OVESCO Endoscopy OTSC. Aquaright Innotech distributes disinfectant generator called NaOClean that is produced in Korea. The generator can be used in many places for healthcare and hygiene. NaOClean is safe, convenient, usable, cost effective and eco-friendly solutions product. NaOClean automatically produces the agent using salt, water and electricity only based on the technology, electrochemical. It makes a very strong disinfectant and provides potent deodorizing effect. The generator can be used in many places such as public schools, restaurants, agriculture farms, fish and meat processing plants, public facilities, hotels, hospitals and etc. Arian Engineering (M) Sdn Bhd is a market leader in the area of materials handling, representing a range of products from general purpose truck mounted hydraulic loaders through to the marine market and a range of tunneling construction equipment. Arian’s extensive product range is supported by in-house installations and superb comprehensive aftersales service embracing an excellent warranty programme, as well as the provision of a 24 hours Hotline service. 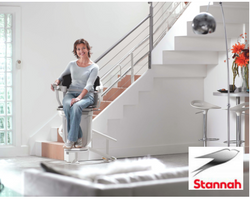 ARIAN now represents some of the world’s leading providers of equipment for the physically challenged, which includes a wide range of Stairlifts, Inclined Platform Lifts, Vertical Platform Lifts, Vehicle Wheelchair Platform Lifts, Vehicle Adaptation System, Bathroom and Kitchen Adaptation System as well as Patient Hoisting System. The equipment for the physically challenged, have and, are for use in homes, commercial buildings, shopping centres, Churches, Temples, Mosques, schools, hospitals, elders care centres, nursing homes, rehabilitation centres, ambulances and private vehicles.